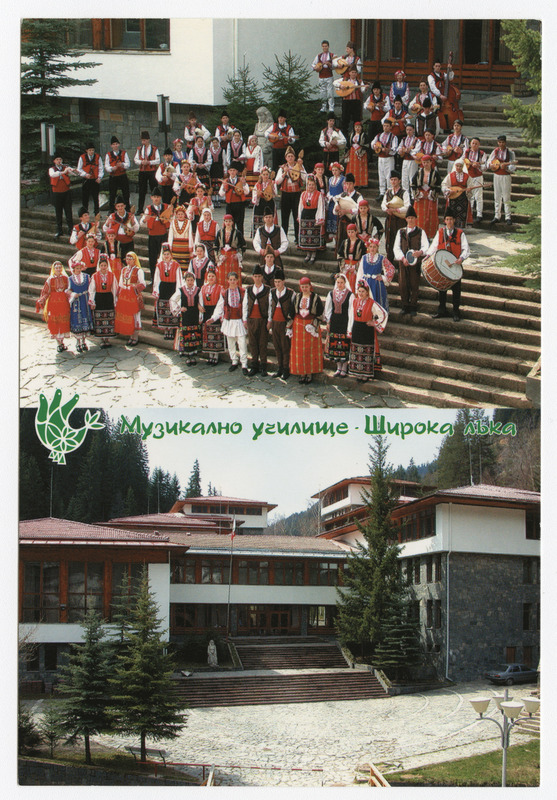 Postcard featuring images of a seven-storey Music School. Project completed 1971-1979. Located in Bulgaria. Permission to publish material from the Lilia Gramatikova Architectural Collection must be obtained from Special Collections, Virginia Tech. 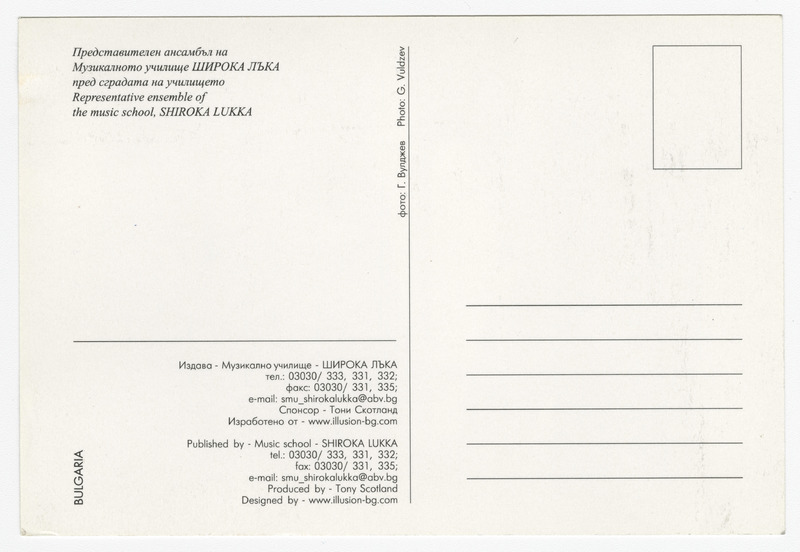 Researchers wishing to cite this collection should include the following information: Lilia Gramatikova Architectural Collection, Ms2001-023 - Special Collections, Virginia Polytechnic Institute and State University, Blacksburg, Va.
Gramatikova, Lilia, “Postcard of the Music High School for Folk Instruments and Folk Singing (Ms2001-023),” IAWA , accessed April 21, 2019, http://iawaomeka.lib.vt.edu/Ms2001-023/Ms2001-023_GramatikovaLilia_Postcard_nd.